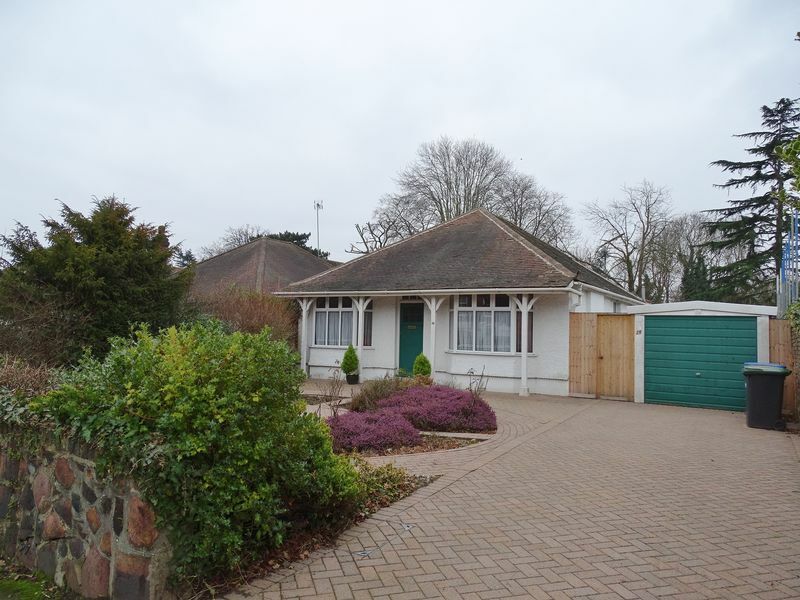 Rarely available three bedroom detached bungalow set on this private road close to Enfield Town's multiple shopping and transport facilities. 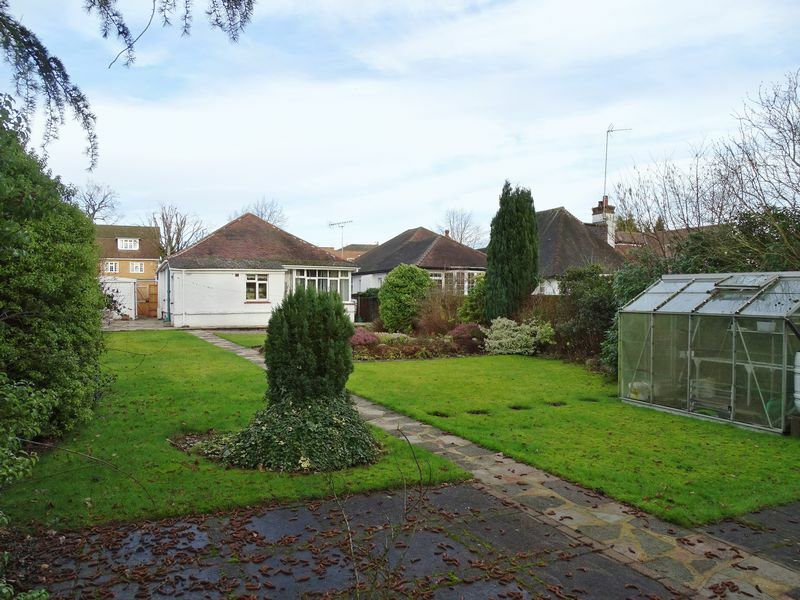 The property does require modernisation throughout however offers incredible scope for development purposes. The current accommodation comprises of a 16' lounge, 12' dining room, kitchen, two double bedrooms, a single bedroom and family bathroom. Externally there is a very well-tended rear garden of approximately 90' backing on to woodland and front off street parking leading to garage. Being offered for sale chain free an early viewing is highly recommended. 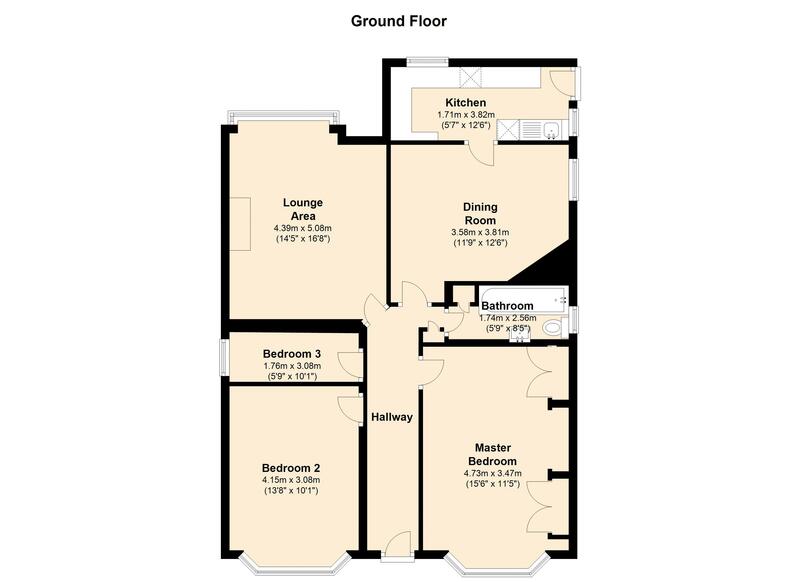 Glazed timber front door into entrance hall, carpeted, picture rail, radiator, loft access, storage cupboard, cornice ceiling, doors to bedrooms, lounge and bathroom. Double glazed bay window to rear aspect with window and box seating, picture rail, carpeted. 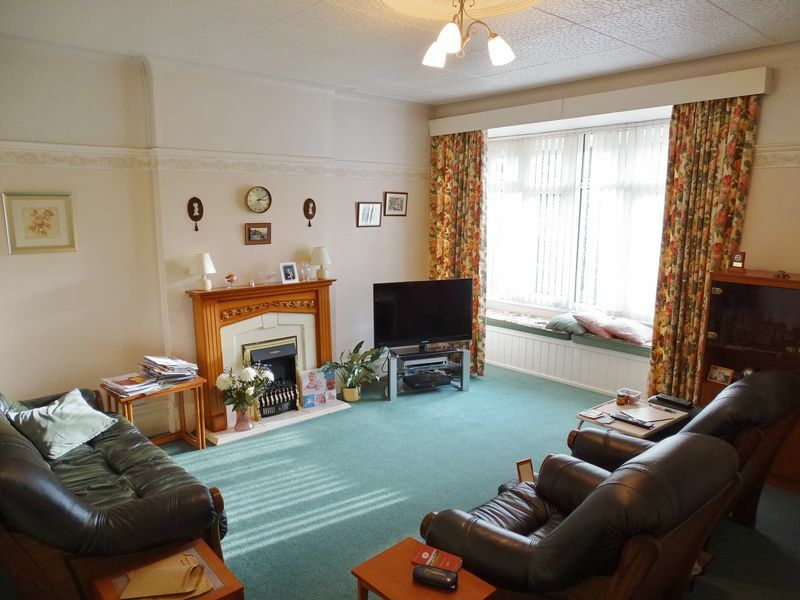 Double Glazed window to side aspect, electric fire with wood mantle piece and stone affect hearth, pendant lights, picture rail, carpeted and double radiator. Double Glazed window to rear and side aspect with double glazed door to side. 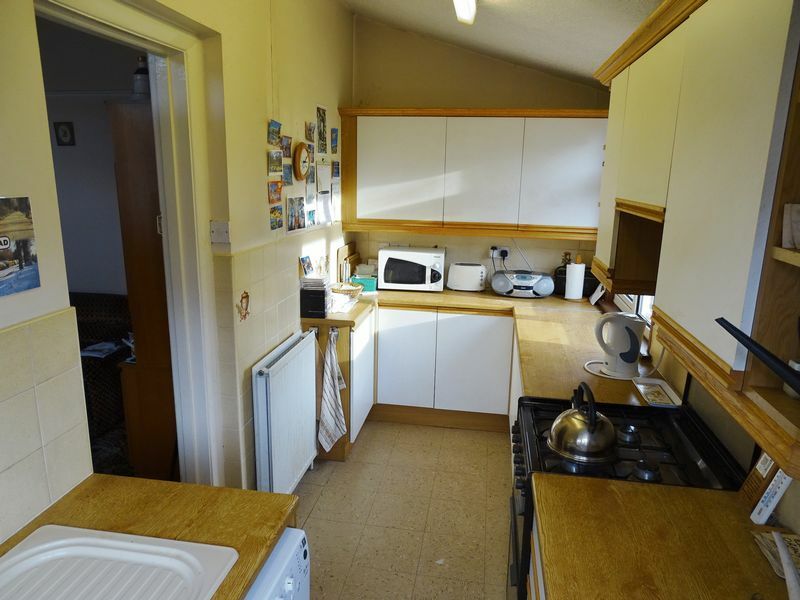 A range of wall and base units, work top surfaces incorporating a single sink unit with mixer tap, space for cooker with built in extractor incorporated, plumbing for washing machine, extractor fan, radiator and tile affect floor. 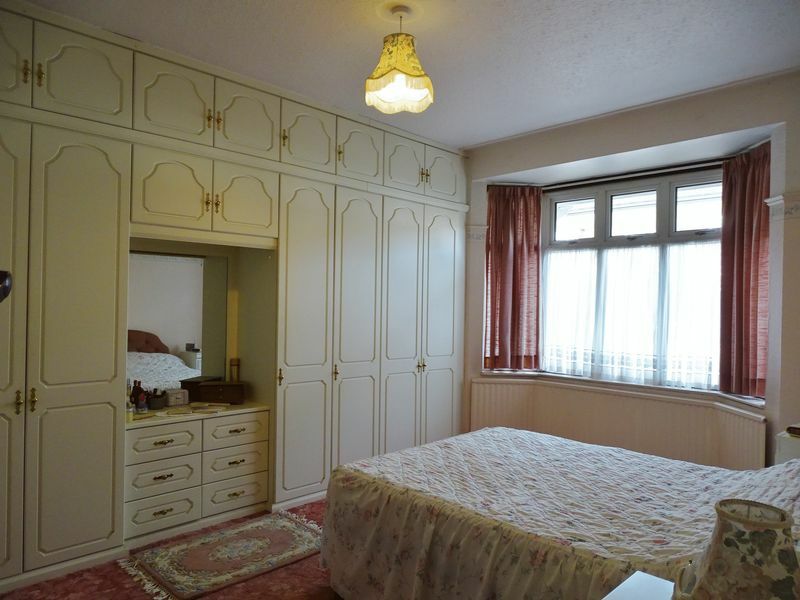 Double Glazed bay window to front aspect, built in fitted wardrobes and dressing table along one wall, bay fitted radiator, picture rail and carpeted. Double Glazed bay window to front aspect, bay fitted radiator, pendant light, picture rail and carpeted. Double glazed window to side aspect, picture rail, pendant light and carpeted. Room houses 'Vaillant' Combination Boiler. 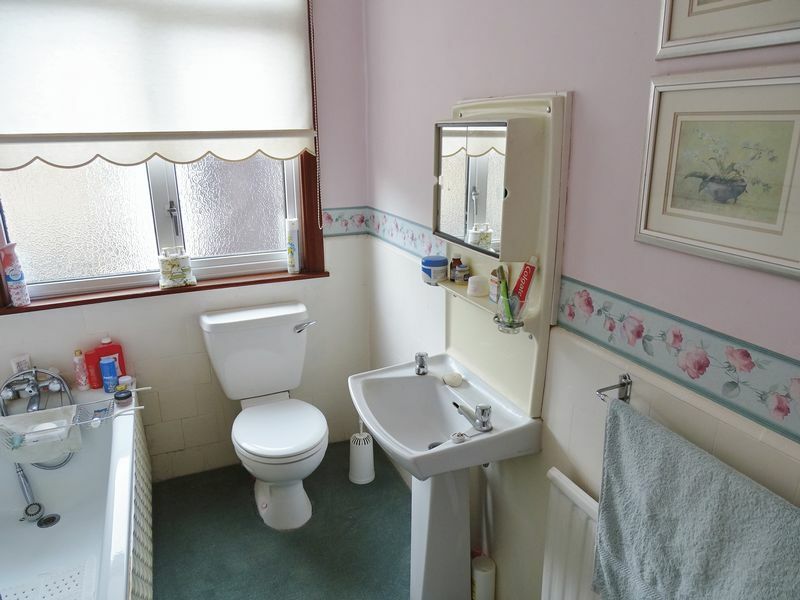 Double glazed window to side aspect, White suite bathroom with panel enclosed bath, low level WC and pedestal wash hand basin, pendant light, radiator, part tiled and storage cupboard. 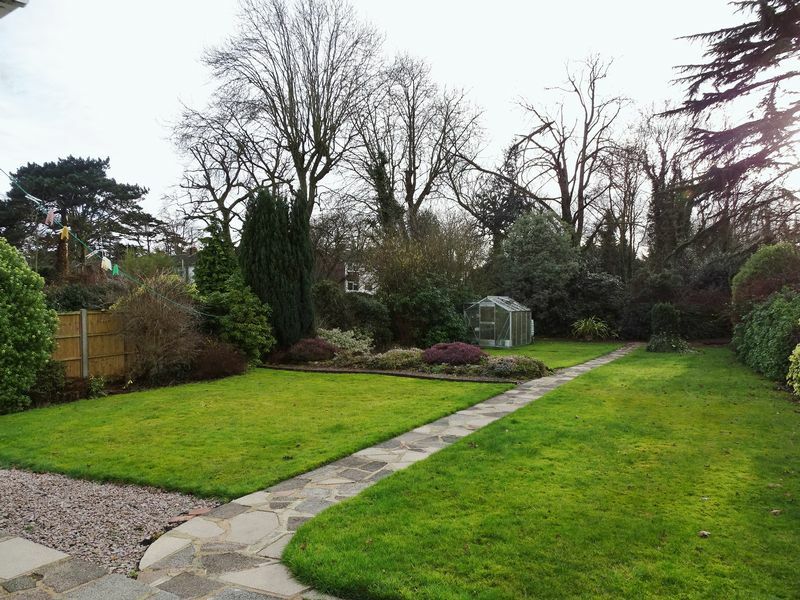 Secluded mature rear garden comprising of patio area to side, brick built storage shed. Mature shrub borders, mainly laid to lawn separated by a rockery and path through the center. Greenhouse. 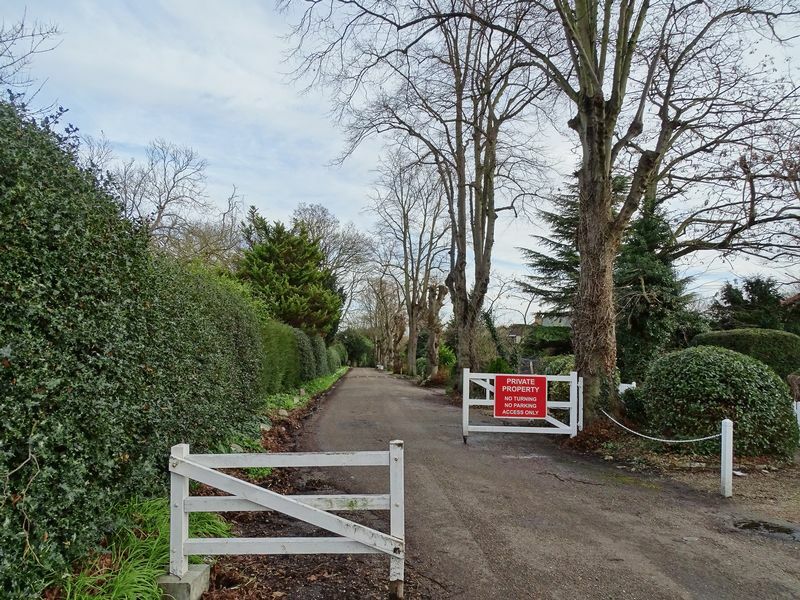 Gate to rear giving access onto woodland. Tarmacadam driveway providing off street parking, landscaped designed to front incorporating decorative pathways. Low level shrubs and flowers and low level wall boundary. Access to single garage. Single detached garage with up and over door to front. Strictly by appointment via Hamilton Chase Estate Agents - 020 8441 1123.